Product #15735 | SKU 2432106 | 0.0 (no ratings yet) Thanks for your rating! 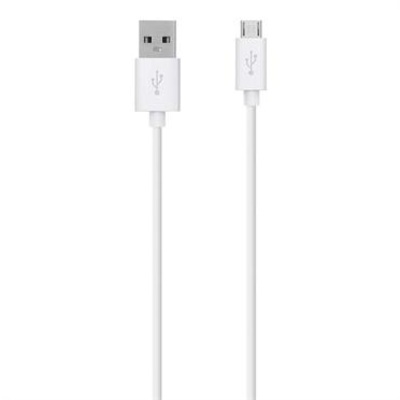 The Belkin USB-to-Micro USB Cable is engineered to support the micro-USB standard in data transfer speeds and compatibility. It connects a computer to newer mobile phones or other USB devices using a micro-B connection.